Pedestrian esplanade first constructed as a WPA project between 1939 and 1941, running along 2-1/2 miles of the San Antonio River. River Walk is an early example of a riverfront park that became a catalyst for revitalizing not just a neglected waterway, but an entire community. 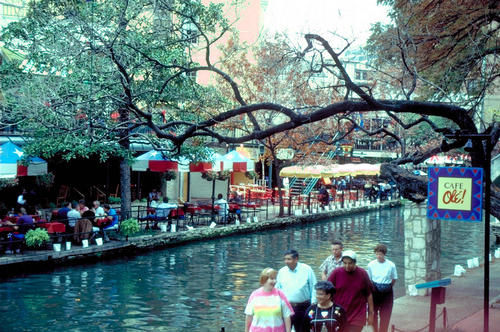 Paseo del Rio, as it's also known, brings economic benefits to the city by providing an important public space as an attraction to visitors and locals alike. 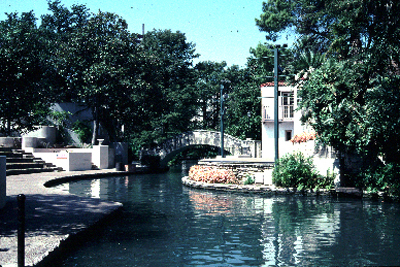 Twenty-one bridges, each unique, and 31 stone stairways connect the river level with downtown San Antonio streets; the varied landscape provides opportunities for people to jog or amble, people-watch, eat, shop, sightsee and celebrate, attend entertainment events - or just sit in tranquility. 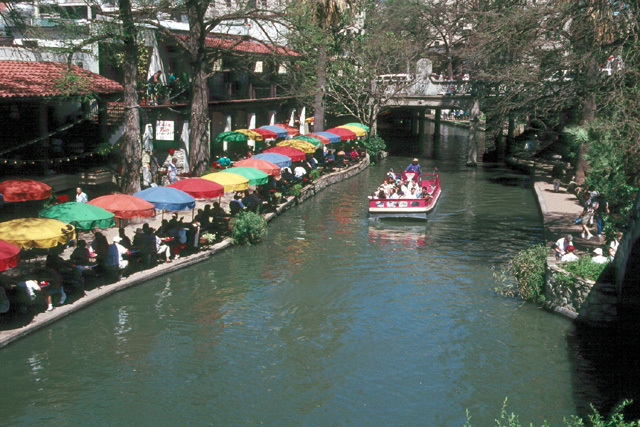 River Walk hosts major cultural events as well as smaller-scale community events, and the mix of business, leisure and cultural uses attract people to it at all times of the day and week. 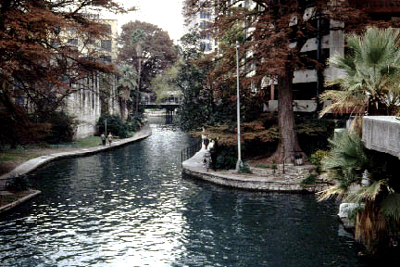 The San Antonio River was saved from drainage attempts in the 1920s by Emily Edwards, wife of the city's planner, and other concerned citizens; but Riverwalk was not developed until the WPA committed to the concept years later. 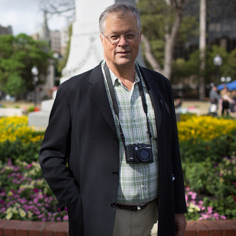 WPA engineer Edwin Arneson used architect Robert Hugman's plan and constructed the multilevel walks, steps and bridges that give River Walk much of its present-day character. He used the same building materials throughout the project, particularly native sand-colored rock. However, much of this work deteriorated rapidly and the riverfront park developed a seedy reputation in the 1950s and '60s. 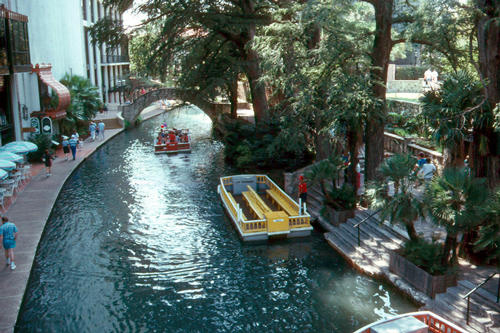 Then two San Antonio businessmen, David Straus and Cyrus Wagner, sparked a second redevelopment campaign; their successful efforts to lure local shops and restaurants to River Walk resulted in the city's hosting of the 1968 HemisFair. 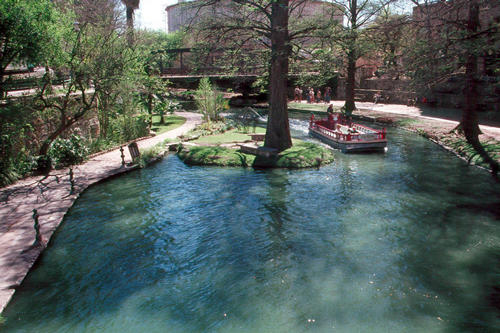 The park has been scrupulously maintained since then and is now home to numerous outdoor cafes and restaurants, sightseeing river cruises, outdoor theater, and, most notably, the San Antonio Fiesta Parade of riverfloats.